Check out the latest Black Friday 2018 Subscription Box Deals on My Subscription Addiction! Menlo Club Coupon – 50% Off First Box + FREE Hoodie, Sunglasses, & Socks! 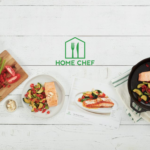 Home Chef Deal – Save $25 Off Your 1st Box + $10 Off Your Next Four Boxes! Last Day! 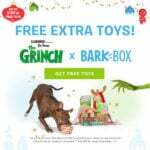 BarkBox Flash Sale – Free Bonus Toy Every Month + Limited Edition Grinch Theme! BarkBox Flash Sale – Free Bonus Toy Every Month + Limited Edition Grinch Theme! DC Comics World’s Finest: The Collection Issue #6 Spoiler #2! Tribe Beauty Box December 2018 Spoiler #5! SkinStore 12 Miracles of Beauty 2018 Advent Calendar – Discounted! Last Day! Cocotique Black Friday Sale – 25% Off Subscriptions & Past Boxes! DC Comics World’s Finest: The Collection Issue #6 Spoiler #1! "The pink is so cute!! To bad it’s branded." "Maybe this is if you do a month to month subscription, because each month your subscription renews? I would thi..."